Dyne Testing offers a wide range of test kits for test & measurement of both Surface Energy and Surface Cleanliness. Measuring and monitoring the surface of any substrate is key for the successful performance of a coating whether it is paint, adhesive, printing ink, varnish, etc. 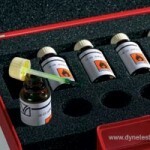 The test kits offered by Dyne Testing are not only reliable but will give users peace of mind. 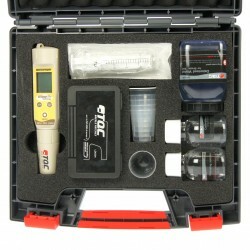 Test kits to measure surface energy include Dyne Test Pen Kits and Dyne Test Ink Kits. Test kits are also available to measure surface cleanliness; Bresle Test Kit, SCM400 and the Soluble Salt Meter.